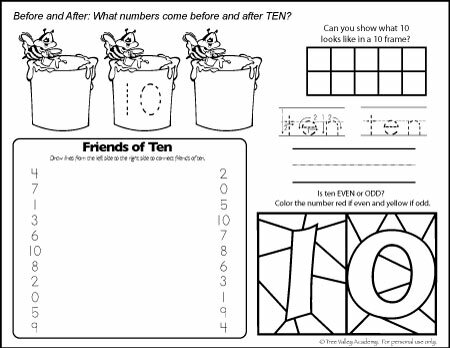 We’re at the number 10 in our number bonds worksheets series, can you believe it? It’s a pretty important week, since our whole number system revolves around the number 10. 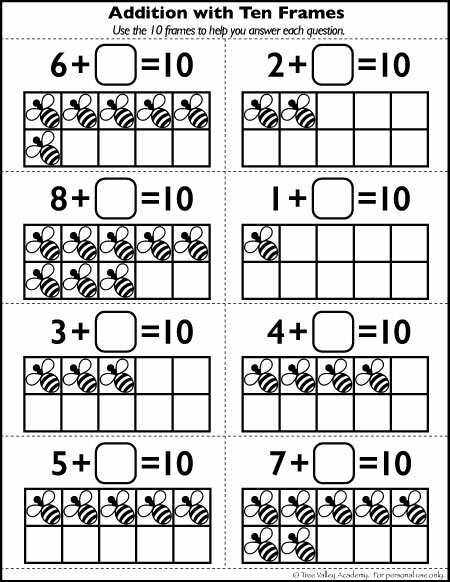 Besides learning the number bonds to 10 and writing the number in words, we are also starting to touch on place values, although it will be expanded on in future lessons. If you’ve misplaced the letter tiles from previous lessons, you can download them again here. 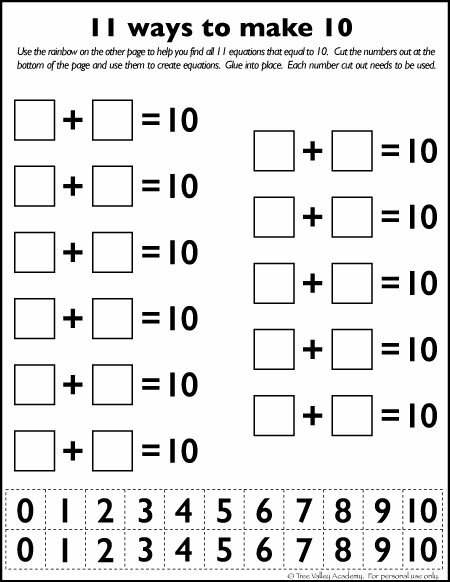 Your child will need them to glue the correct letters that spell TEN on the first page. 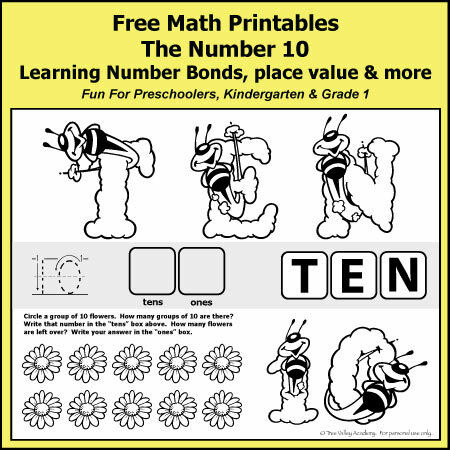 Playing the number bonds of 10 GO FISH card game with your kids is a great way to practice and master the number bonds of 10. It’s similar rules as we played for seven, except of course we want to add the 8, 9 & 10 cards, and we will be matching “friends of” 10. Another idea, for those doing the mental math option, in the Abacus Adventure 1 app, level 16 & level 25 are both a friends game. 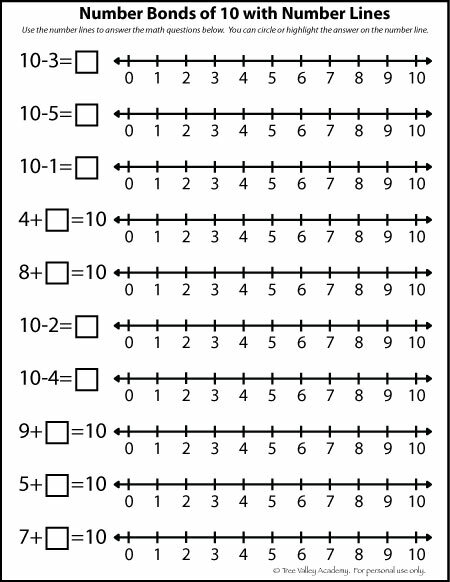 It says a number, for example 3, and your child will need to make the friend of 3 on the abacus, which would be a 7. 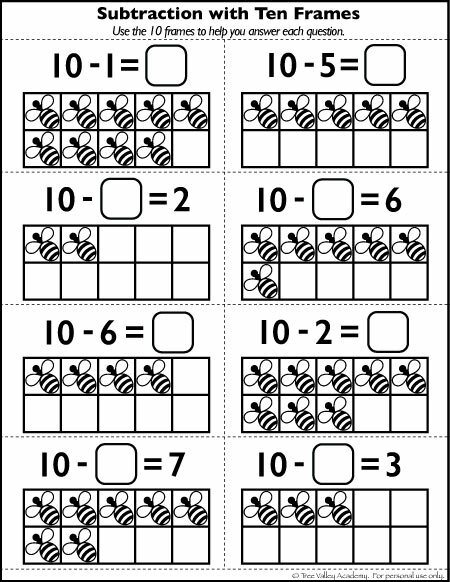 To download the 7 pages of number bonds to 10 free math worksheets, subscribe to our email list below and you’ll get immediate access. 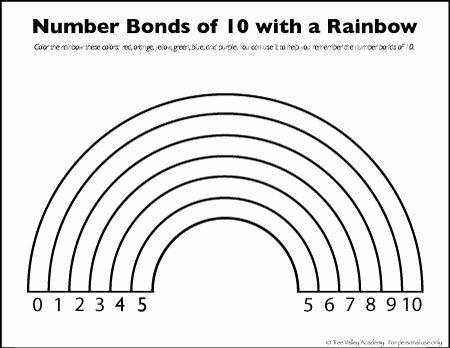 For more math fun, continue with the number bonds to eleven. Wonderful printables! Thanks for sharing at the Thoughtful Spot Weekly Blog Hop! We hope you join us again next week! Love these! I’ll have to save this to come back to next year! Thanks for linking up on my blog party! Can’t wait to use these with my class!